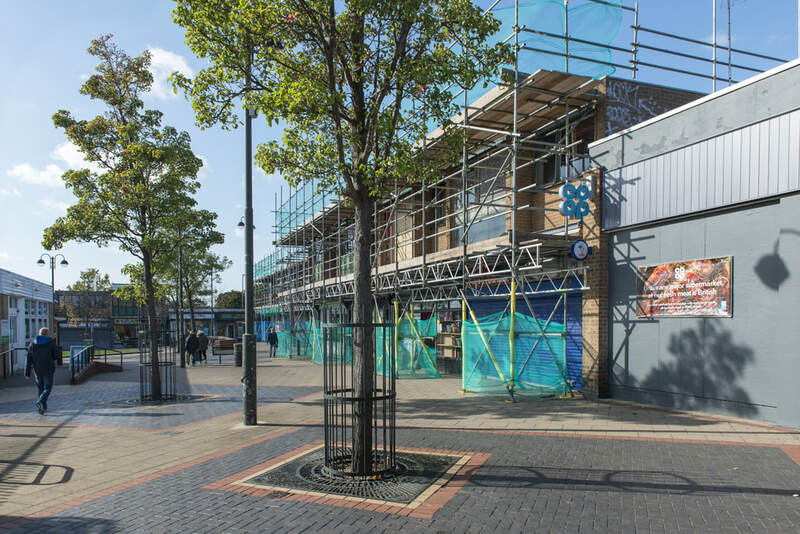 Very interesting and clever timelapse video showing the work being carried out on the main row of shops in Cotgrave centre. Work is progressing well on the refurbishment of the main row of shops at the precinct. 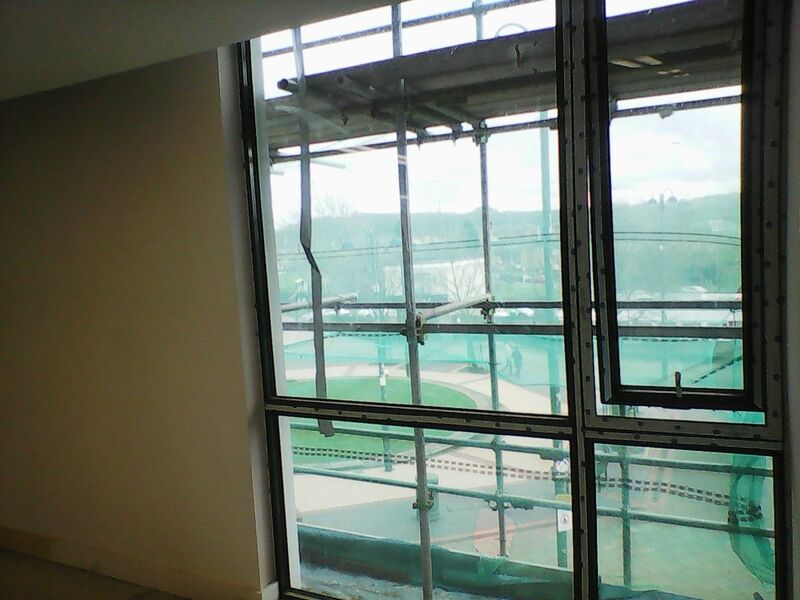 The latest is that new fronts/windows are now in place. Also upstairs, the conversion to new offices is coming along really well. 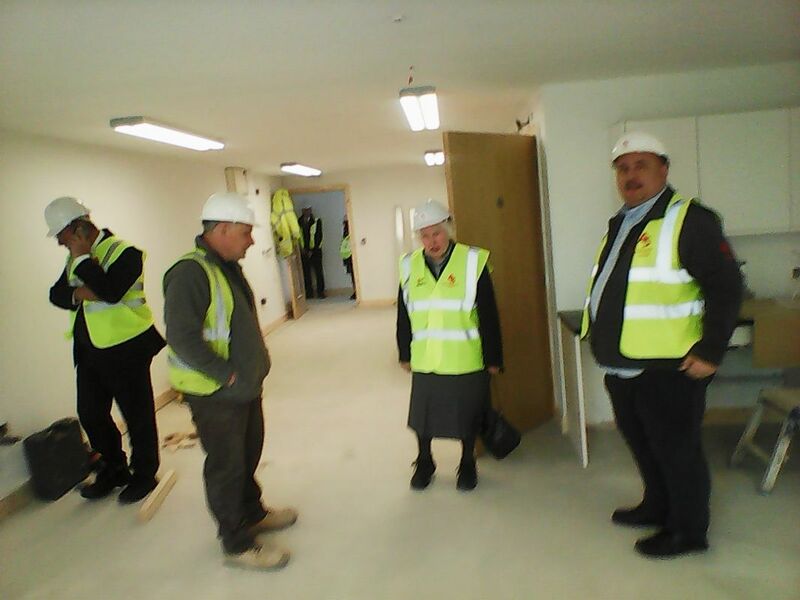 My colleague Cllr Christine Jeffreys and I were invited to have a look around the other day, and there is no doubt that when finished, they will be great places for smaller/new businesses to work from. 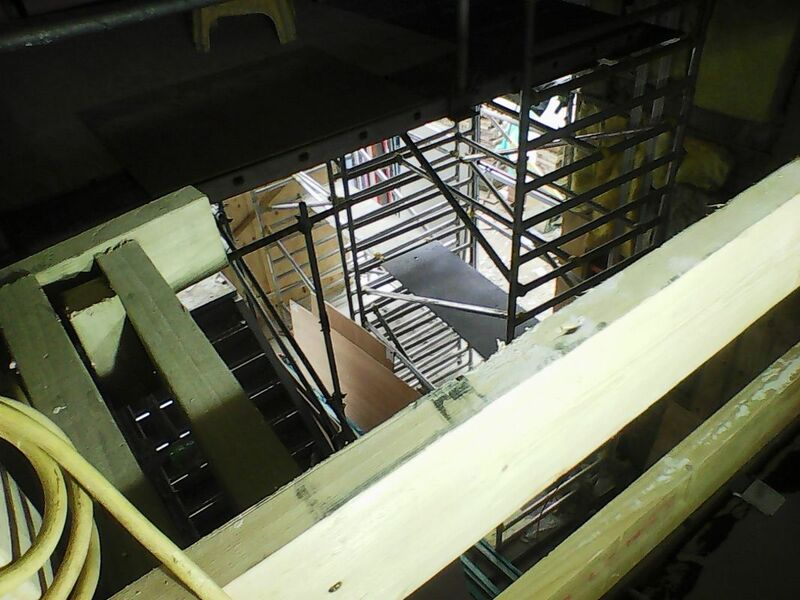 The main entrance has been created with new staircase from the centre of the shops. 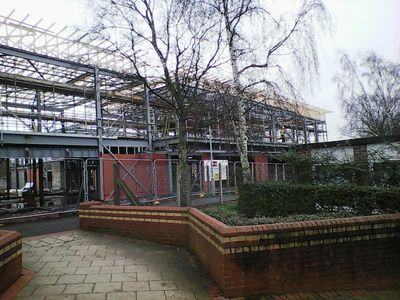 Also you can't fail to have noticed that the brand new multi-service building is rapidly taking shape - this will be the brand new health centre, library, police station and Rushcliffe Borough Council offices. In other news, discussions are well advanced with regards to the other row of shops - more news on these soon. Hollygate Park houses continue to be built and sold very quickly and are proving very popular indeed - no surprise - what a great location! 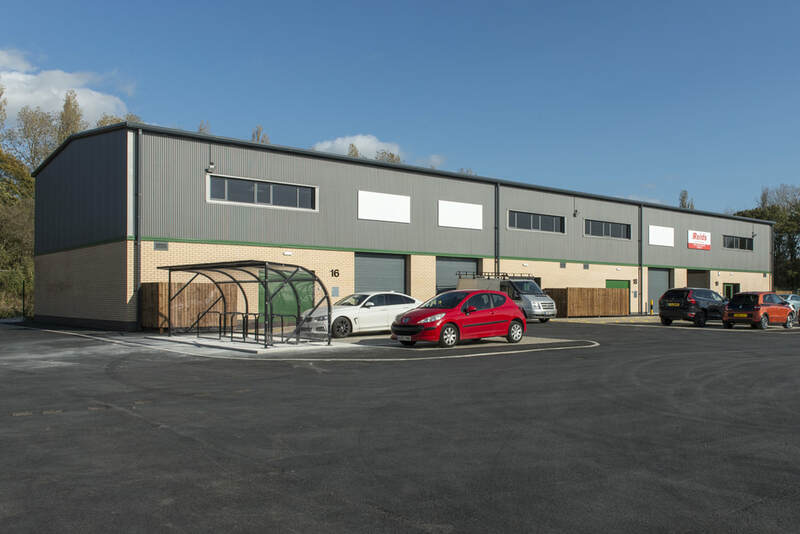 New business units now completed at Colliers Way by Hollygate Park, with 6 of the 15 already occupied and the others currently under negotiation. This is great news! It is all part of the Cotgrave regeneration project. The fact that businesses are already moving into these new units shows that the need and demand is there. Good for business, jobs and the local economy. Here is a report from today's Nottingham Post newspaper. The new houses are being built very quickly and they are all selling as soon as they are complete - in fact a lot are selling "off plan". People want to come to Cotgrave! Also I am told by property experts that Hollygate Park is also rejuvenating the general Cotgrave housing market - putting us "on the map", so to speak. Construction has started on the 15 new business/commercial units on Hollygate Park, which will bring jobs into the area. There is a report in today's Nottingham Post about them along with further information about the Cotgrave regeneration. I understand that some companies and businesses have already expressed genuine interest in taking units on already. 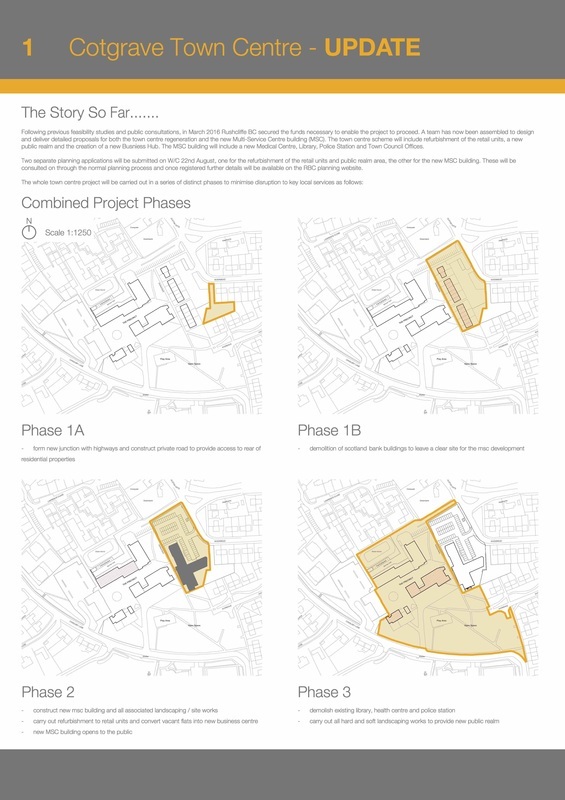 Here are more details about timescales etc for the Cotgrave centre regeneration work. 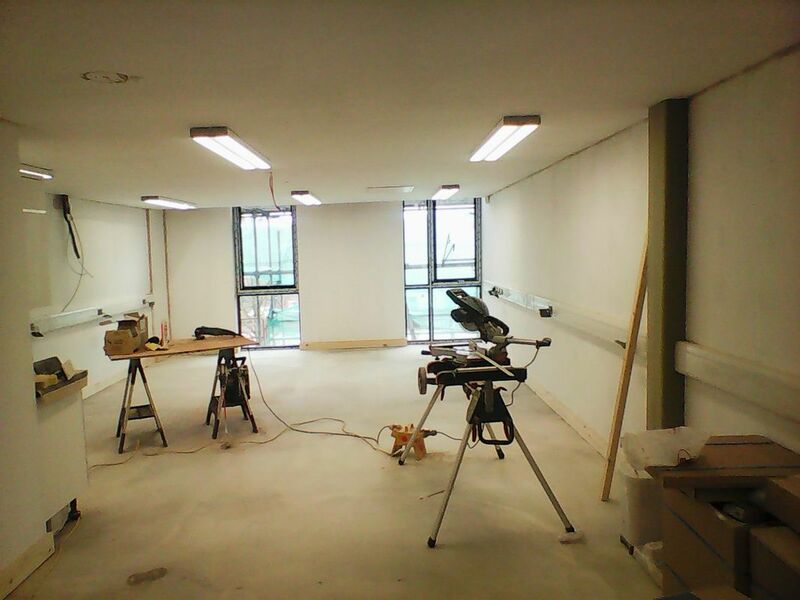 As with all projects like this, it is likely to cause some inconvenience whilst the work is carried out. Please do try to support the local shops and businesses there whilst this is all taking place. October 2017 – May 2018: Improvements to shop units and the area to the rear of the shops. 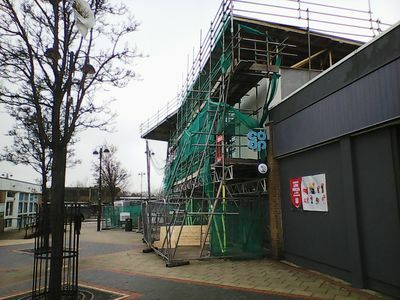 Flats above the shop units will be converted in to a new business centre. 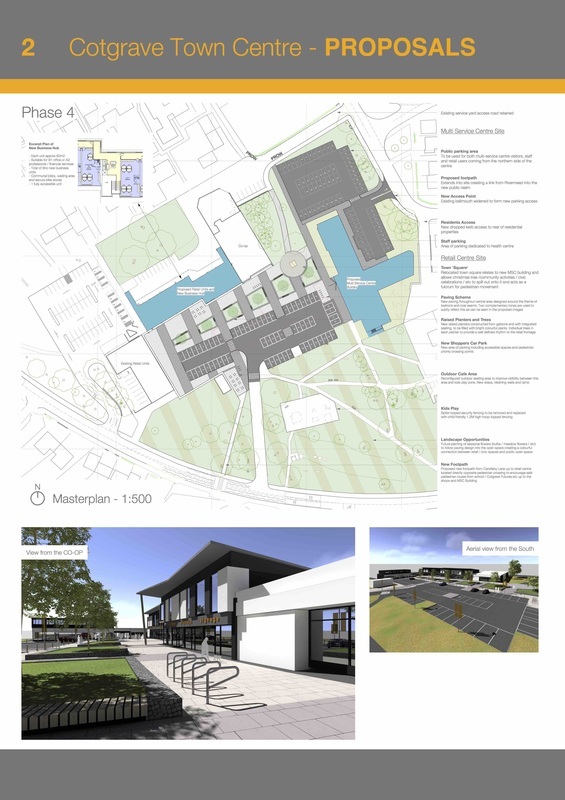 Summer/Autumn 2018: Demolition of existing library and police buildings, improvements to the car park, and landscaping of the area. 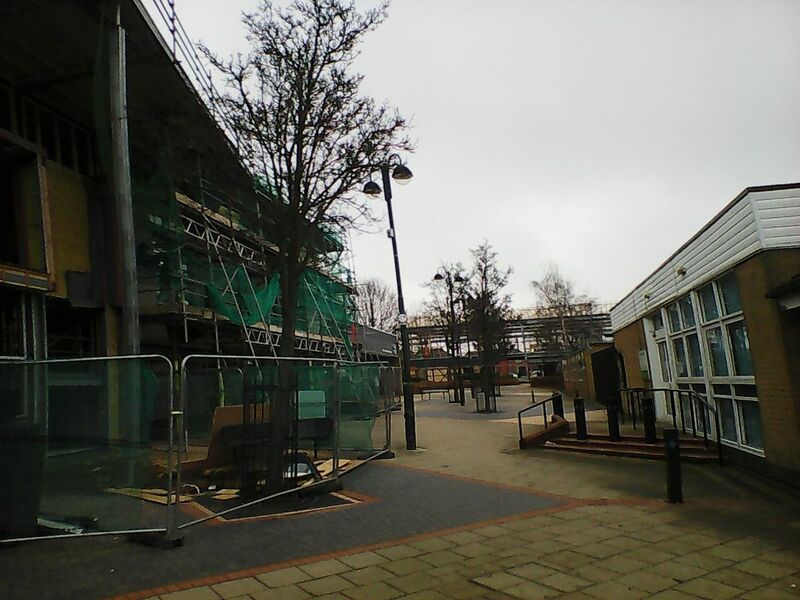 Rushcliffe Borough Council encourages residents to support their local shops during the improvements and will be working with local businesses during this time. Please shop locally and support your local businesses. Following the granting of the planning permission for the refurbishment of the Cotgrave Precinct and the building of a brand new multi-service building that will house the new health centre, library, Police and council contact points/offices, work is starting on site. The first thing that is happening is the alterations to the access road behind what is currently Scotland Bank. The Scotland Bank houses will be demolished probably late February/early March and the site cleared (this is where the new multi-service building will be. As well as the town centre work, as part of the overall Cotgrave Regeneration Project, 15 brand new commercial/industrial units are being built on Colliers Way and I understand that there is already considerable interest from businesses wishing to come in. Planning permission now granted for the precinct work! 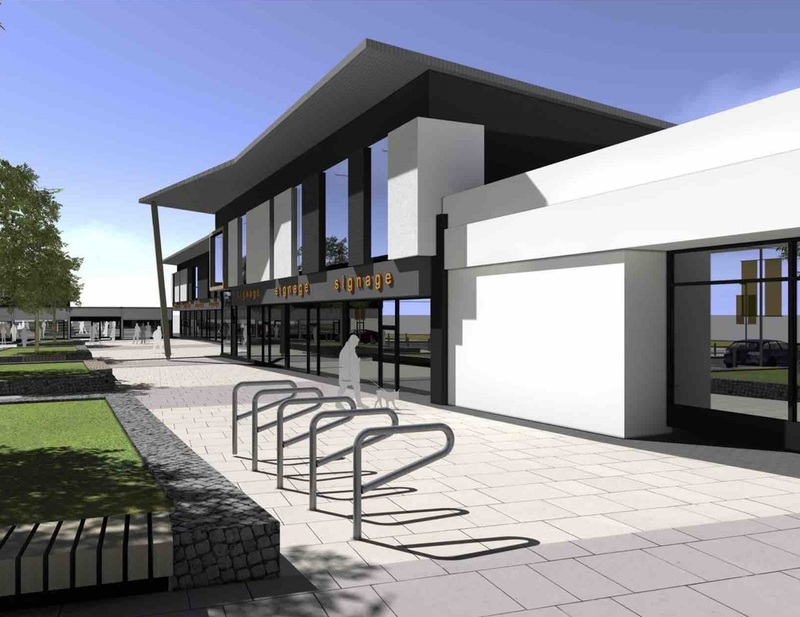 This is good news, after so many years of meetings, discussions, interviews, this is another step to the regeneration and improvement of the Cotgrave precinct. And it is rather more than a "lick of paint". 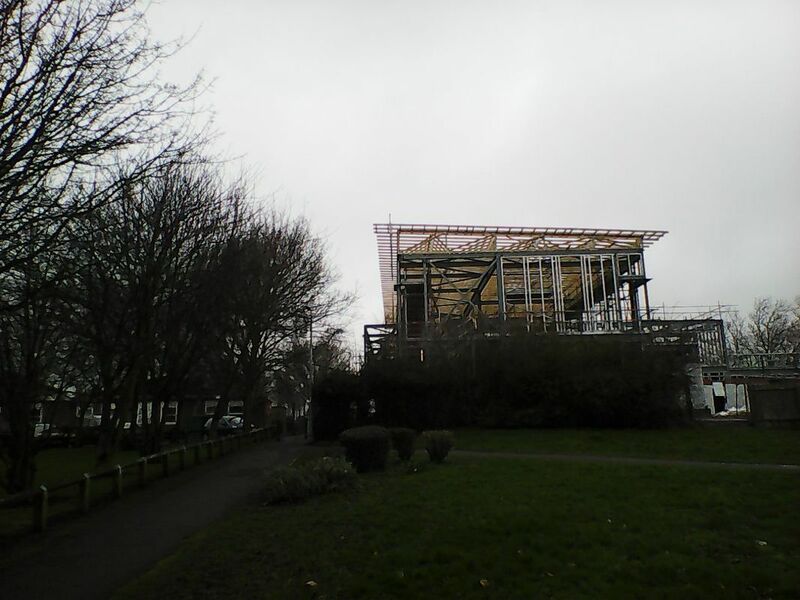 What happens next is that early in the new year, the Scotland Bank houses/flats will be demolished ready for the building of the new multi service building - new health centre, library, Police and council contact points/offices. Then as next year goes on, the main row of shops will start to be worked on. This will be exciting but also challenging as there is bound to be construction disruption, so do please continue to support our local shops and businesses. The long awaited and much anticipated plans for Cotgrave town centre regeneration work have now been produced and are on display in the library. You can also view them on the Rushcliffe Borough Council Cotgrave section of their website. These plans are about to be submitted for formal planning permission ready for proposed start of works in a few months time. 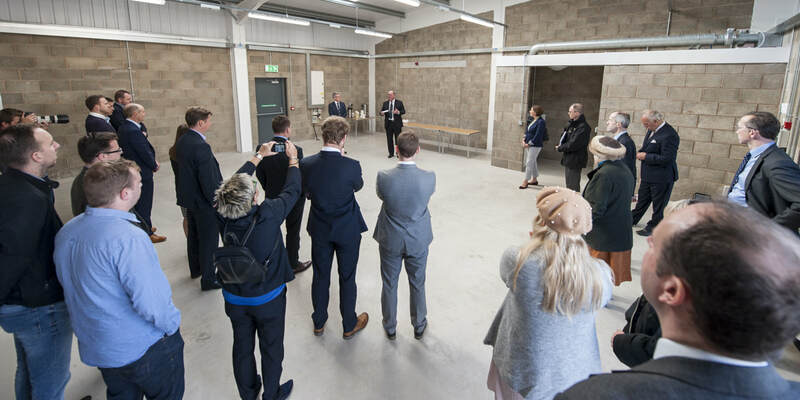 As well as the retail units and new starter/office premises, there is also the new multi-service building which will include brand new health centre and library. 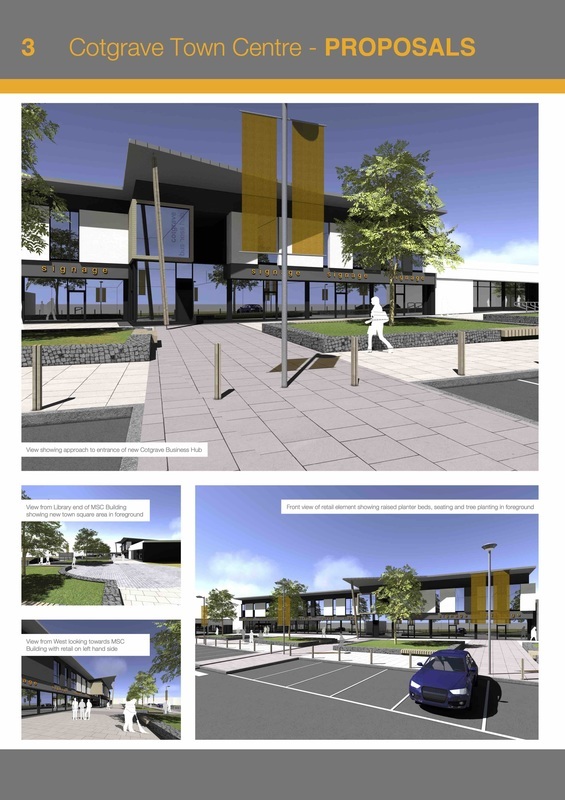 Once this building is built, the existing health centre and library will be demolished and the whole area opened up to make it more attractive, and also provide more much needed car parking. I am sure you are all by now aware that Rushcliffe Borough Council’s Cabinet made the decision on 8 December to support the regeneration of Cotgrave Town Centre in line with option one of the report. As you know this option includes phase one of the regeneration of the shopping area. This will be achieved by the complete demolition of properties on Scotland Bank and the current Police Station. A new multiservice centre will be built to include the police, library and health centre. 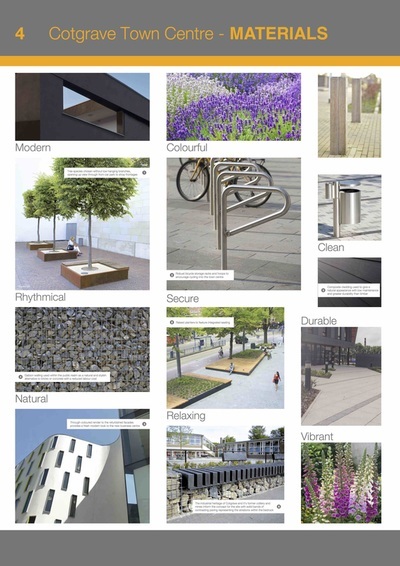 This will be developed to also incorporate new and improved public realm and landscaping. The scheme will also involve a significant and transformational refurbishment of the existing back run of shop units. This will also involve creating a new business centre to create attractive employment space for growing local businesses. The design will incorporate new fascias and glazing to provide a new look along with improvements to the appearance of the back of the shops. Finally improvements to the green space and play area will be made. As well as the improvements in the town centre the Cabinet has also committed to developing further employment opportunities in Cotgrave through the decision to create 15 new industrial units on the colliery site adjacent to the Council’s existing stock at Colliers Way. 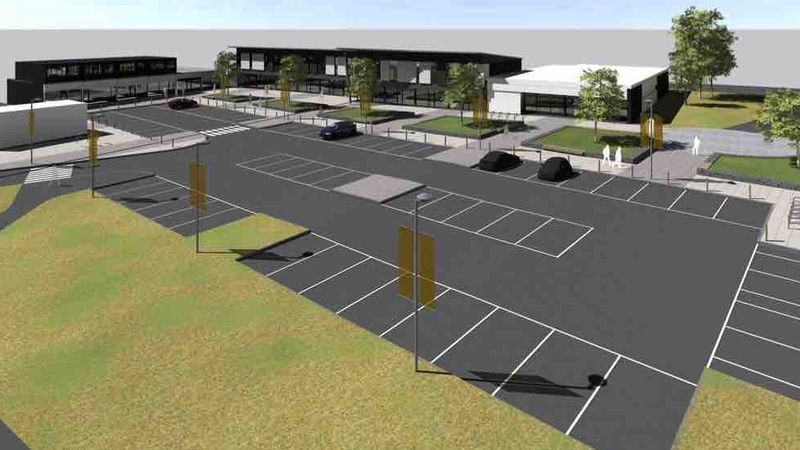 This brings the total investment into Cotgrave Town Centre and the employment land by the Borough Council and partners to approx £10.5 million. Whilst I appreciate that this decision is not the preferred option for individual board members it does represent a significant step on our journey. Now that the decision has been made I hope we can focus our joint efforts on realising these exciting challenges as soon as possible. · The submission of a business case to the D2N2 LEP for the Council to be able to drawdown the £3m of funding in 2016/17. 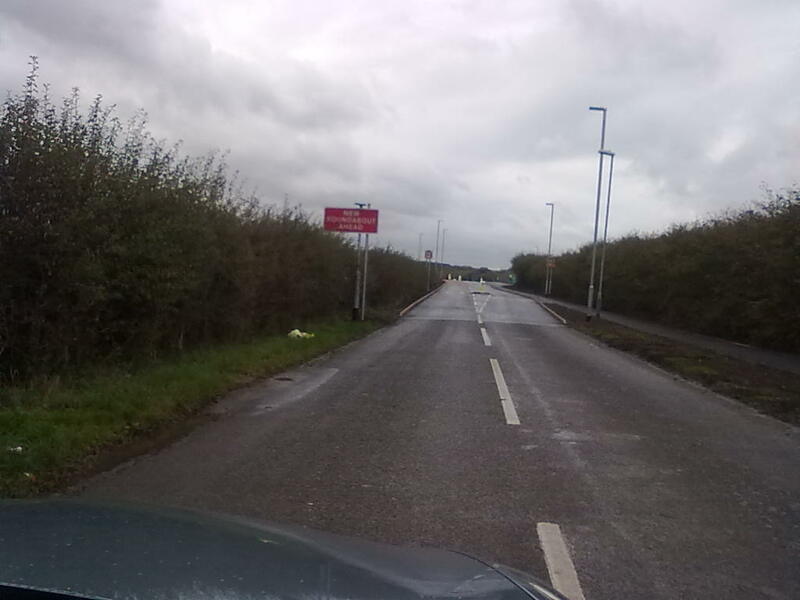 · The transfer of land ownership involving the Police and Nottinghamshire County Council needs to be formally agreed to enable the multiservice centre to progress. Final confirmation from Cotgrave Town Council on whether they would like some space in the centre is also pending. 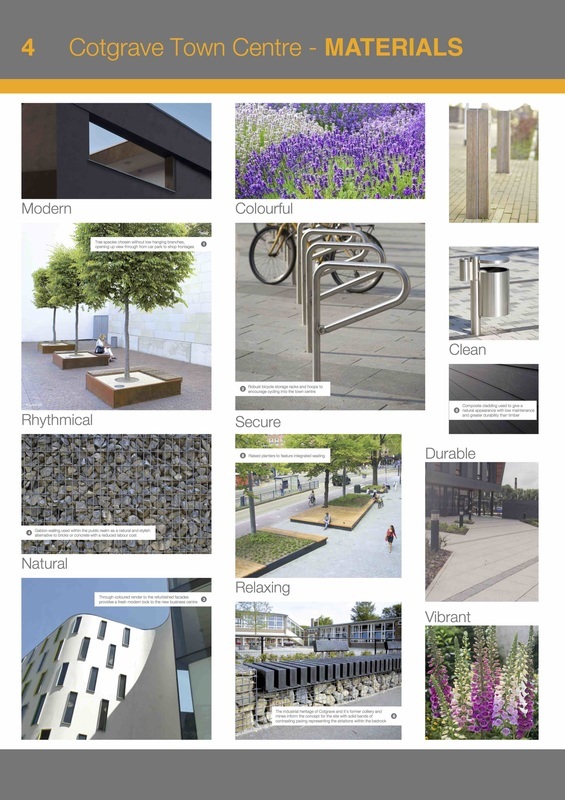 · Planning permission to be sought in Summer 2016. Residents and tenants of the new affordable homes at Hollygate Park, have started to move into their homes. Some more facts and information about both the precinct regeneration and also the Hollygate Park new homes and employment site, from Rushcliffe Borough Council. This is really good news, but sadly, because of unrealistic political dogma by a small number of very vocal and fans of social media, the shine has been rather taken away. Here we are, in days of serious financial challenges for local government in particular, with a successful major investment in Cotgrave coming, that has been led by Rushcliffe Borough Council. Below are extracts from a speech and report that I completed in connection with last night's Rushcliffe Cabinet decision. I hope it makes things a little clearer and factual. ​This really is a good result for Cotgrave - other nearby villages and towns are crying out for this, and cannot believe the opposition and negativity being put out by a small but loud group, simply because they happen to be of a different political view. This project is for the whole of, and the future of Cotgrave, and it should be welcomed. The amount of time that has been put into getting here and the hard work, cannot be underestimated. Given the opportunity and asked in an appropriate way, I think that anyone would say yes to that. But given where we are financially and also the needs and comments of local businesses and the external bodies and partners, is it necessarily the right answer? I know from talking to local residents that the demand for a complete rebuild is not necessarily universal. Everyone agrees that “something needs to be done” there. It is tired and needs improving, making more attractive and inviting. Most people go to the precinct for the doctors followed by shopping and the library. 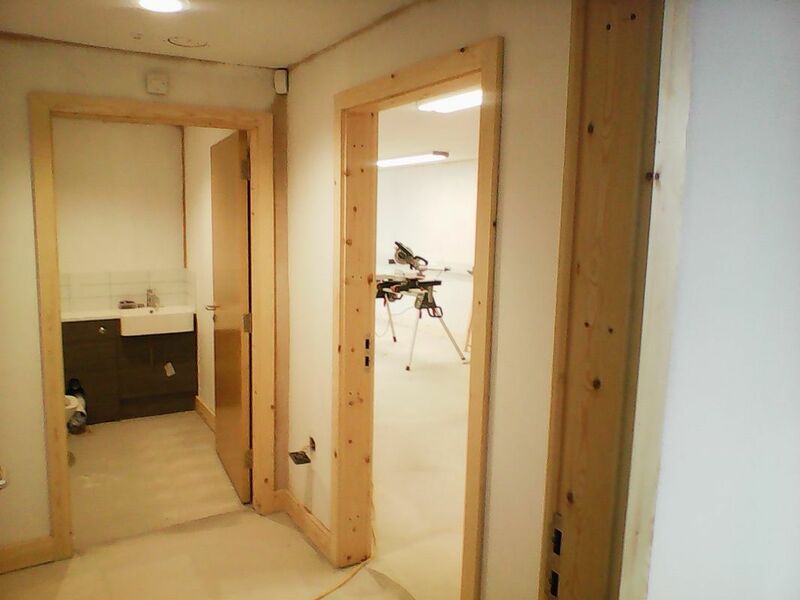 There is most definitely a need for a bigger better doctors surgery which as you know is a crucial aspect of this whole project, not all under our control. Both options would open the area up with the removal of the existing library, health centre and Scotland Bank buildings. If we have a rebuild, what would we actually get? A new set of fewer but larger shop units. They would undoubtedly be shiny and impressive as all new builds are, but with that would come the demand for higher rents. Which leads to the question of what businesses would want to, or crucially, be able to afford to be in them? One of the features of the existing precinct is that most of the businesses are small and privately owned. Some have been there for many years and we must admire them for surviving during the most challenging of economic times. Some are newer, but speaking to them suggests that they want to continue trading here. But, if the only choice of premises are more expensive ones, then there is a real danger that they won’t be able to stay. And the existing businesses I have spoken to show no enthusiasm for a complete rebuild. It is well documented that after a long time expecting that an anchor supermarket would come in, they then pulled away for their own commercial reasons. Yes, their own commercial reasons – they must have done some sums. Agents have been approaching other businesses to “sell” the new precinct idea, but seemingly with little success so far. So it could well be that we would have some very nice new shop units, where old shops used to be, but with no one trading from them. That would not look very good would it? Imagine the headlines: “White elephant shopping precinct with no shops”. We are at a point now where a choice has to be made between Option 1 (refurbishment and 2 (knock-down and rebuild), or even a third, which is to do nothing – and people should be assured that I have had many many comments from people away from Cotgrave saying that we should not be doing any of this – something that I have fought to knock on the head. I've lost count of the number of times people have had a go at me saying, "oh not yet more for Cotgrave". But if you listen to "Labour Matters", you might think that I'm one of those people! The deadline for drawing down the Growth Deal and other funding that has been secured by RBC and its partner agencies is rapidly approaching, so we do have to move forward now. Residents and businesses in Cotgrave have been waiting a long time to get to this decision, so they need to know. We know that 900 or so people have signed a petition demanding a complete knock down and rebuild, and Cotgrave Town Council have moved a motion to the same. I absolutely understand why they are saying this because that might seem to be the right thing to do. But as with so many things, what might seem obvious may not actually be the best or appropriate way forward, which has been explained clearly in the Cabinet report. Whether we get a complete rebuild or refurbishment, the reason that many people will still be going there is for the doctors surgery, and we must do all we can to work with our partners to ensure that this does appear. Whatever we do get, either way it is still a major further investment in Cotgrave that other villages and towns in the borough are noticing and wishing for themselves. And we must not lose sight that it is not just the precinct that we are talking about, but it is the other employment creation opportunities that are part of the whole package at the proposed new business units on the colliery site." News and press release from Rushcliffe Borough Council detailing the progress and current position with the Hollygate Park and town centre improvements..
Work is progressing swiftly and well at the site. There was a developer's launch event recently where details of the houses and development were announced. This was very well attended by members of the public, many of whom, including families already in Cotgrave, expressed serious wish and interest in moving there. Separately, things are still going on in the background regarding the Cotgrave Precinct improvement and development. It will happen but these discussions are quite long and complex, mainly because of the number of different land owners and other interested and relevant parties involved. This is all being led and taken seriously by the right people who have Cotgrave's interest at heart. The phase one housing layout has now been agreed, which will be a development of 116 homes. Consisting of 75 x two, three, four and five bedroom homes and 41 X one, two and three bedroom affordable homes. You can see houses starting to appear. The total housing numbers for the site are 457, which will include 137 affordable homes. Completion of the first show homes is scheduled for later in 2015, with the first completed house sales scheduled for summer 2015. The list of street names for the development has now been approved by Rushcliffe Borough Council with input coming from local schools and Cotgrave Town Council. The chosen names are based on a plant, fauna and wildlife theme, many of which are to be found in the locality. On-site drainage works are progressing, including work in and around Heron Lake in the country park. A filter system is being installed so that the lake can receive clean water from the housing development storm drainage. Work will hopefully be completed before the new fishing season starts properly this year. 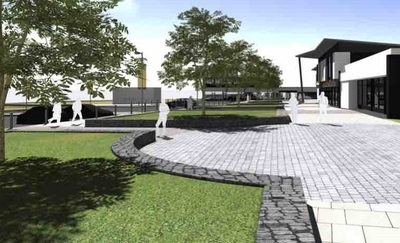 A new pedestrian bridge has been proposed across the Grantham Canal. This will act as part of an access link to connect the housing development with facilities in the centre of Cotgrave. As part of Rushcliffe Borough Council’s regeneration project for Cotgrave, employment opportunities have been created on the development site for Cotgrave youngsters. Several have completed pre-apprenticeships programmes which will give them potential opportunities to achieve employment on the construction site as the development progresses. Provision has also been made on the former colliery site for employment land. 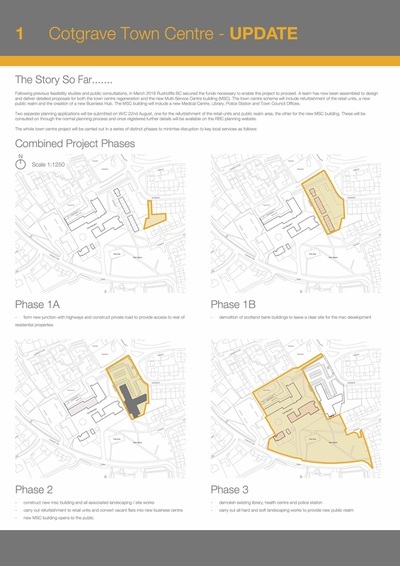 There are currently four existing units on a site area of 1.1 hectares and the outline planning consent extends this site area to a maximum of 3.6 hectares. The units have been designated for offices, manufacturing and warehouse usage. It is envisaged that as many as 500 jobs could be created on this site, which would improve the employment prospects of many Cotgrave people. A "stakeholders briefing session" was held today at Rushcliffe Borough Council's offices to catch up and find out more about the hopes and ambitions for the Cotgrave Masterplan. In particular the recent news about the Government's Growth Deal award generated much genuine ambition and discussion - things will be happening to the precinct! Cotgrave's borough councillors were invited to attend and given an opportunity to explain their views and experience. 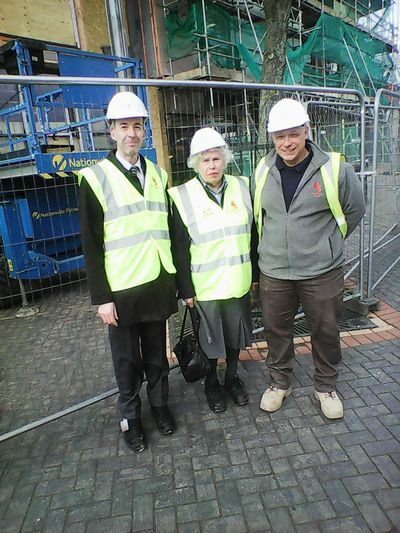 Cllr Bryan Tansley and Cllr Richard Butler took this opportunity and attended and presented their knowledge and views of the lead-up to this moment, along with the current chairman of Cotgrave Town Council, Cllr Vance Wood, who also gave a presentation on behalf of the town council. The other attendees included the chief executives and senior officers/councillors from Nottinghamshire County Council and Rushcliffe Borough Council, the Government's Homes & Communities Agency, BDW homes, Metropolitan Housing, the senior partner and doctors from Belvoir Health Group/Cotgrave Health Centre, the local Police inspector. This attendance list confirms how far down the road we are with this Masterplan, and the commitment and enthusiasm to "make things happen" was very encouraging. We are proud to continue to actually get on with the real work of making Cotgrave an even better place! 8am 29th January - News coming in that after many years' of work between Rushcliffe Borough Council, Nottinghamshire County Council, Cotgrave Town Council, the Homes & Community Agency, the NHS and others, that Cotgrave has been awarded a major piece of funding from the Government's Growth Board Fund. This is for the improvement of the village centre/shopping precinct. More news and info to come as I receive it. But this is ultimately good news for Cotgrave! I've just had a briefing and update from Rushcliffe Borough Council and Barratt/David Wilson Homes. 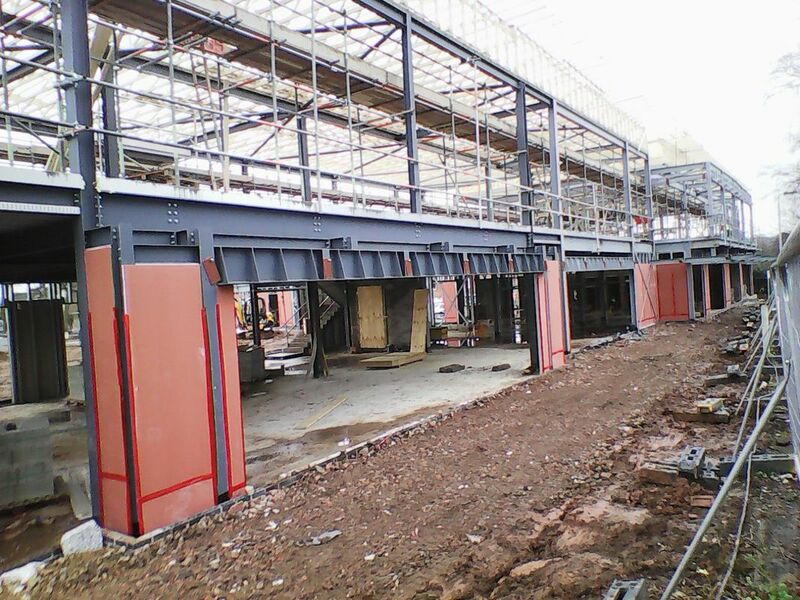 Work on the ex colliery site is progressing well. Landscaping and "bunds" have now been completed to shield and shield from the country park. Much work is being done in relation to drainage (if you walk along the canal path, you will see huge and impressive engineering works going on) Naturally this is all a bit of a visual mess at the moment, but it is obviously very much work in progress. You can start to see the layout of some of the development's new roads and already, post codes have been arranged. Road names will be based on nature and wildlife themes, and the house styles will be named after Nottinghamshire and Leicestershire village names. The first show houses are due to appear during the spring of this year and house sales are likely to start summer onwards. More young people from Cotgrave have been on the pre-Apprenticeship courses with Barratts and Central College. The local schools have also been doing geography and other work based on the site. The whole of this Cotgrave project is attracting a lot of attention and interest locally and nationally - so it's got to be right! More info as and when I hear. The new/replacement car park for country park visitors is now open on Hollygate Lane. 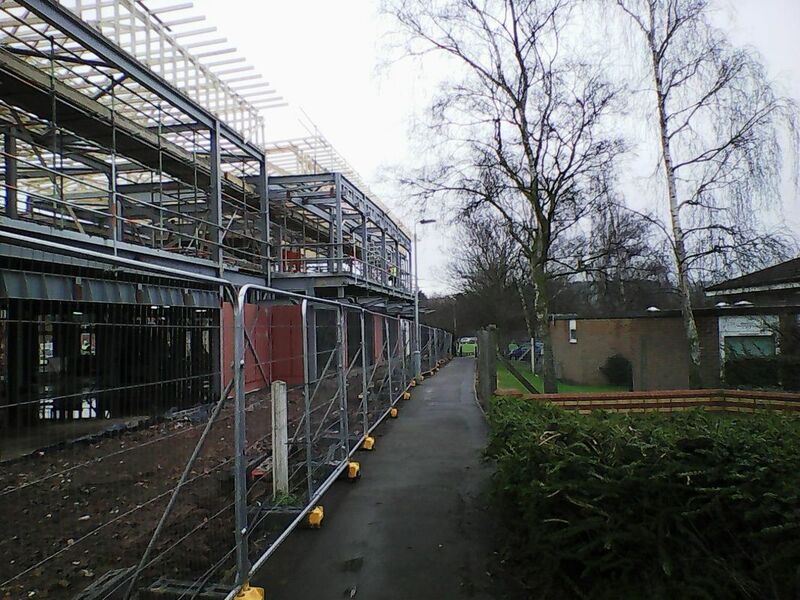 Work is progressing well on the colliery site - Hollygate Park. The latest estimation is the first houses will be show houses that will be on the edge of the development near Hollygate Lane. These are due to appear in the spring of next year (2015). Names of roads in Hollygate Park have now been agreed and will be based on a nature and wildlife theme. Many of the suggestions came from children at the schools in Cotgrave. The house "style names" will all be based on local villages. As part of the economic regeneration local youngsters have been taken on as apprentices both at this site but also other developments in Nottinghamshire. The village centre (precinct plans) are still being worked on. There will be work and changes carried out. 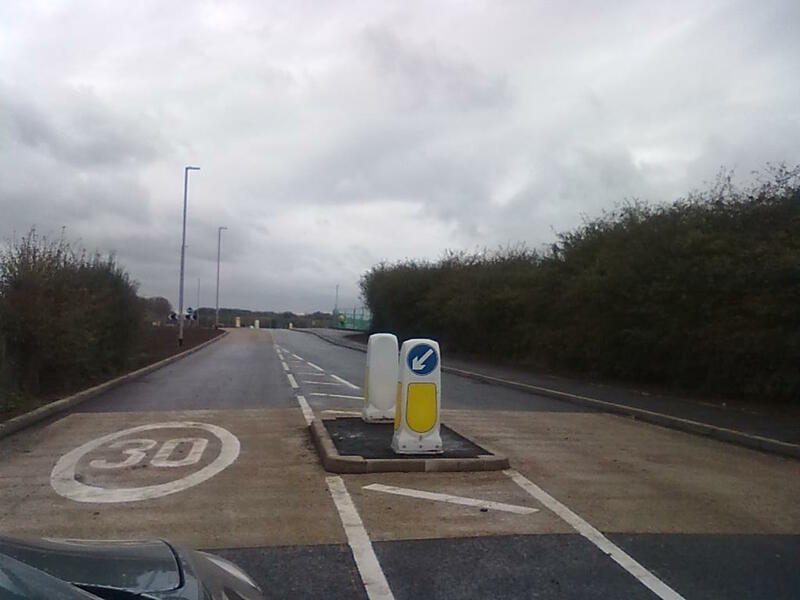 20th October - Hollygate Lane is now open. It has been closed for a few weeks to allow work to be done to realign some of the bends, install a roundabout which will allow access to the housing development site at Hollygate Park. I understand that the carpark for the country park will be opened again shortly. (Don't forget that there is a temporary car park down Colliers Way off Stragglethorpe Road. There is also an extension of the 30mph limit. The preparation of the groundworks for commencing the project has now started. This is the culmination of many years' of discussion and negotiation. Top priority for us has been to ensure that impact on the environment and country park in particular is kept to a minimum and that it would not "just be a big housing estate". Over the next ten years or so, up to 450 new homes will be built along with business and employment premises. There will also be green areas, allotments, play areas and playing fields, pedestrian and cycle entrance and route to the country park and Cotgrave. In all, it is an investment and spend of some £100 million. 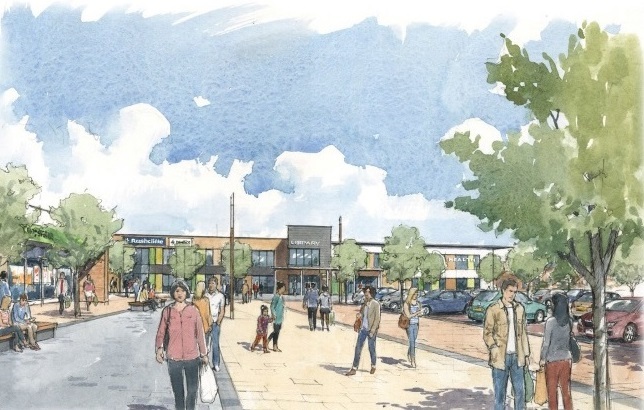 Also as part of the pit site planning permission, the Cotgrave precinct will be included as part of the "Masterplan" to improve and regenerate. Various land owners and public service providers are meeting regularly to discuss the way forward. As and when more information comes through, I'll put it up on here. After many years' of discussions, meetings, visioning events and planning, work is starting to take place on the redevelopment of the former Cotgrave colliery site. Planning permission was given in 2011 for up to 470 homes (the likely final figure will probably be around 450) along with employment and business units on the site. Over the last few months, ecology works have been taking place and recently plant translocations and wildlife protection have started. 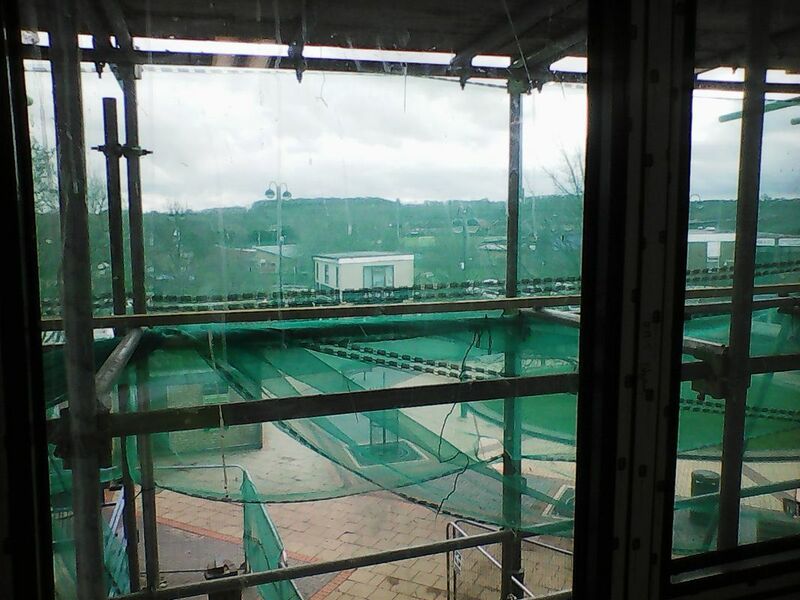 Barratt/David Wilson Homes have been awarded the contract and the site is now being prepared. There will inevitably be some disruption because this is a major project, but the authorities and agencies are working hard to try ensure it is kept to a minumum and that we are kept informed. 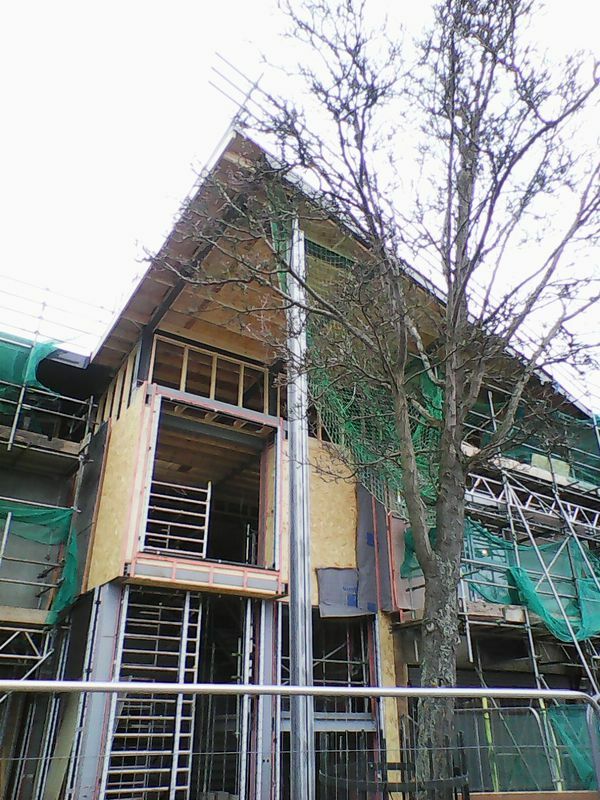 It is planned that the first houses will be completed by the end of this year and will form the Barratt/David Wilson show homes/village. As well as homes, there are also to be new commercial/business buildings at the site near to the existing business units. Jobs, training and apprenticeship opportunities are also being created for local people, the colleges are involved and South Notts and and South Wolds Academies are also interested in being involved with a real life geography project for their students in conjunction with the developers. Barratt/David Wilson report that already people - mainly from Cotgrave - are asking to be kept informed of sales information as and when it becomes available. This whole project is being watched at a national level - the spotlight is on Cotgrave! I hope that this is of some help. As more information becomes available, I'll update the page.